Here at Vans 365, we’re more than just a sales service. Our dedicated aftercare department provides the guidance, support and services you need to not just complete the purchase of a new or used commercial vehicle but really make the most of it in the weeks, months or years that follow. Unlike many used and new van dealerships, we provide extensive warranties as standard across our vehicle range. Buying a new van for your company is after all a huge commitment, and one that takes great investment. Use your hard earned cash to make the best decision for your company by purchasing from a reputable used and new van dealer like us. 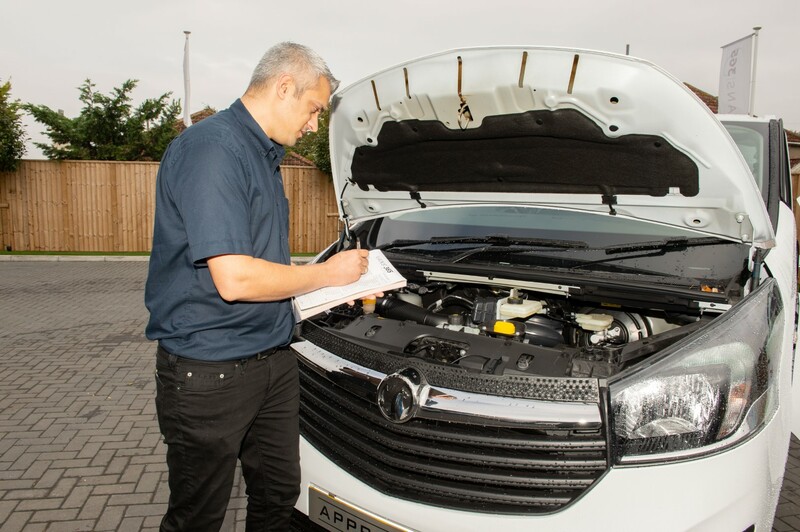 The quality of every van we sell is important to us, that’s why each undergoes a rigorous 100-point inspection. That’s not all! Our vans are covered by an RAC warranty, meaning you can protect your investment during those early days. Many models come with manufacturers’ warranties to further safeguard your van investment. Extended warranties are also available via Vans 365. We make the process of collecting and paying for your new van as easy as 1, 2, 3. Our collection and delivery service is available to all our customers, and with a money back guarantee on the cost of delivery on arrival when it comes to all vans purchased over the phone getting your van sooner rather than later is simple. Collection is just as easy if that is more convenient for you. Our team will arrange a collection date and time that works for you. You’ll be glad to hear that payment is just as fuss-free, with finance also available subject to approval for those looking to spread the cost of expanding their commercial vehicle fleet. To find out more about our expert after sales services, please browse our website or contact our team direct for details.